“Mosaic” is handmade from two large panels of sustainably sourced pine wood. 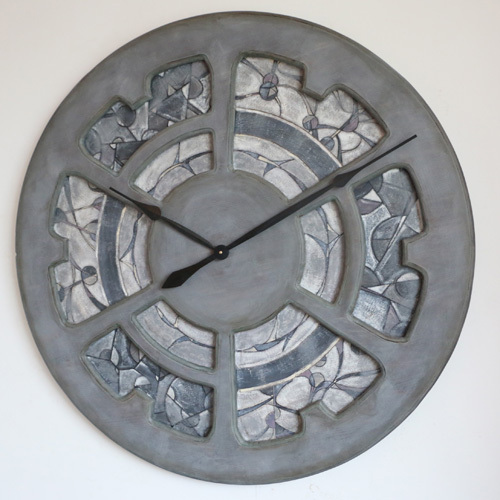 This beautiful mosaic wall clock is a member of the new range of artistic timepieces. 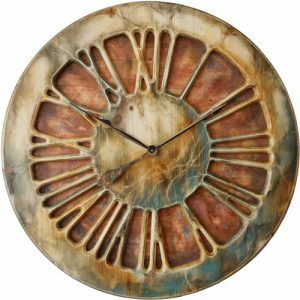 The clock face with its distinct features looks amazing on a hand painted background. With a total diameter of 100 cm “Mosaic” will bring uniqueness and character to your living room. 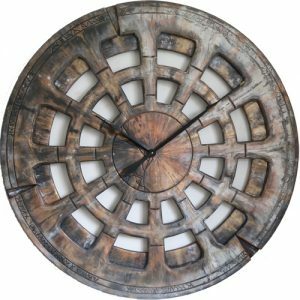 “Mosaic” is a large artistic wall clock that is cut out of a two massive panels of pine wood joined together. You can see many different colours and patterns crossing in a beautiful composure. It is not only extraordinary and unique timepiece but also one of its kind work of art. Are you looking for something different than ordinary pictures on the wall? Perhaps it is time to replace the mirror or large painting with a fresh new idea? 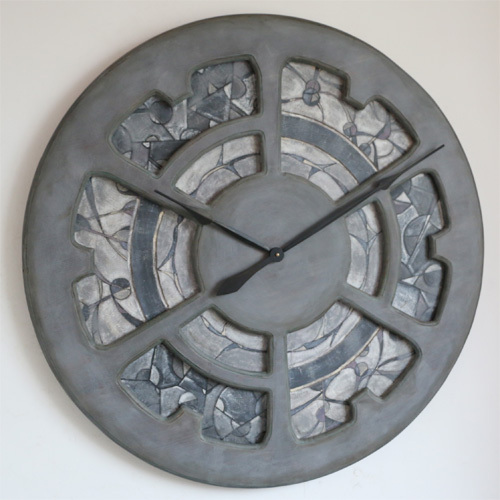 Have you considered a beautiful mosaic wall clock that could differentiate your place from the rest of the world? 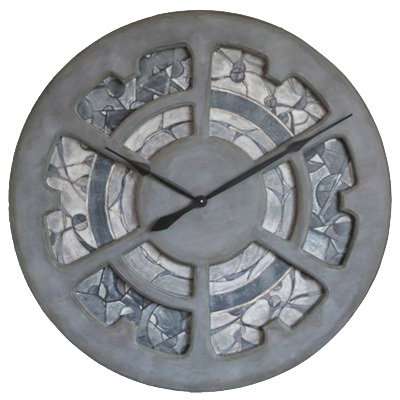 Have a look at our online gallery showing our clocks in various arrangements. You will agree that each of them is incredibly impressive and one of its kind. The clock mechanism is the most powerful Quartz sweep movement. It is silent in operation and only requires a single C Cell battery. It is delivered with hands detached to prevent any damage in transit. 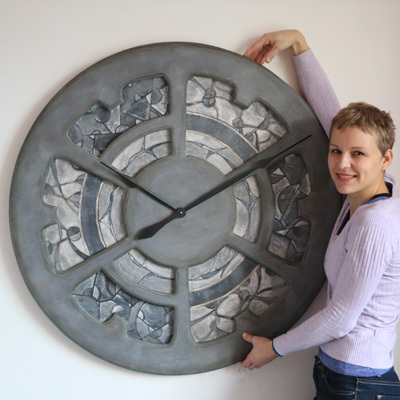 You can watch the short video where I demonstrate attaching the clock hands and setting the time. All Peak Art Clocks are wonderful pieces of art with some contemporary accents. 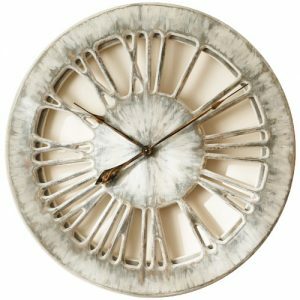 The clocks have distinct, hand painted finish and traditional round shape. You can mount them in any room at your home as well as in big halls or entryways. 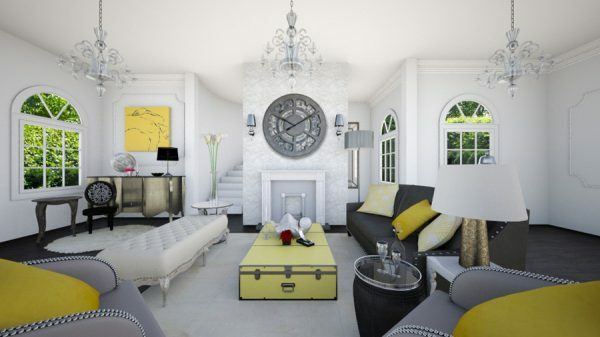 Another perfect place for those giant clocks is your office, hotel reception or even penthouse apartment. As described in our Terms and Conditions remember to avoid heat and moisture and only display those clocks internally. 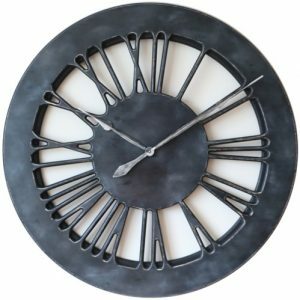 Don’t follow the crowd, challenge accepted fashion and make the Massive Handmade Wall Clocks from Peak Art the new design trend. 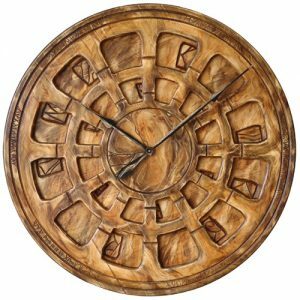 Try and search Google for large handmade clocks and you will see that Peak Art is leading this niche market with no competition to be found.